New Stars for Carina by James Hervat - This tangled cloud of gas and dust is a place where stars are born. 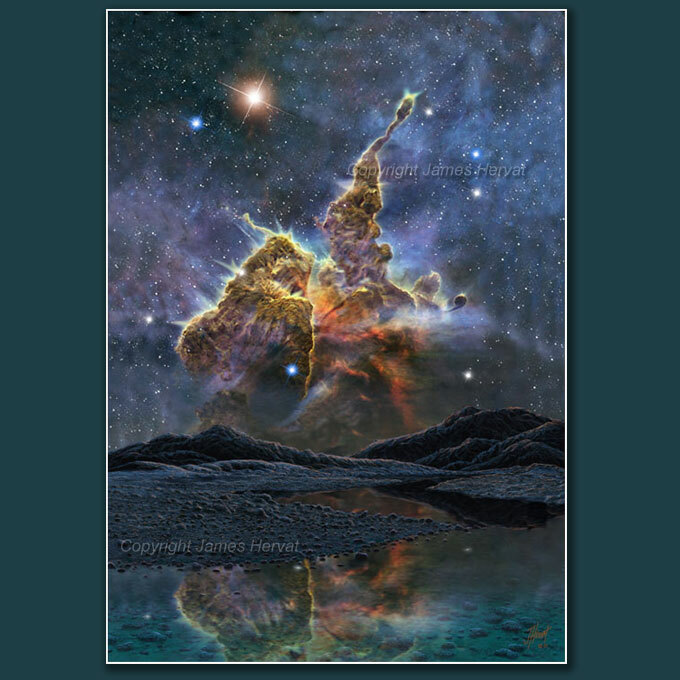 New Stars for Carina (2010) - Inspired by one of the now-familiar Hubble Space Telescope images, this scene shows the Carina Nebula as viewed from the surface of some cold, unknown planet. The tangled clouds of star-forming gas and dust are reflected in pools of liquid nitrogen that settled in low areas of the landscape.